Don't be fooled! 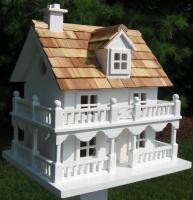 This decorative birdhouse is fully functional and intended for outdoor use, but you may still choose to enjoy it in your own house as a decorative accessory. 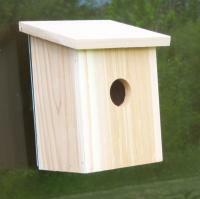 Outdoors, the 1 1/4" opening is designed to accommodate nesting birds such as wrens, finches, chickadees and nuthatches. 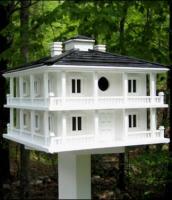 The house has all of the qualities a birding enthusiast desires including a back wall cleanout, drainage, ventilation and unpainted interior. 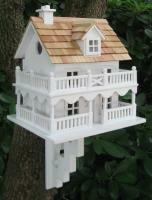 The cottage style house gets its name from the 3-D butterfly that appears to spring to life off the front façade. 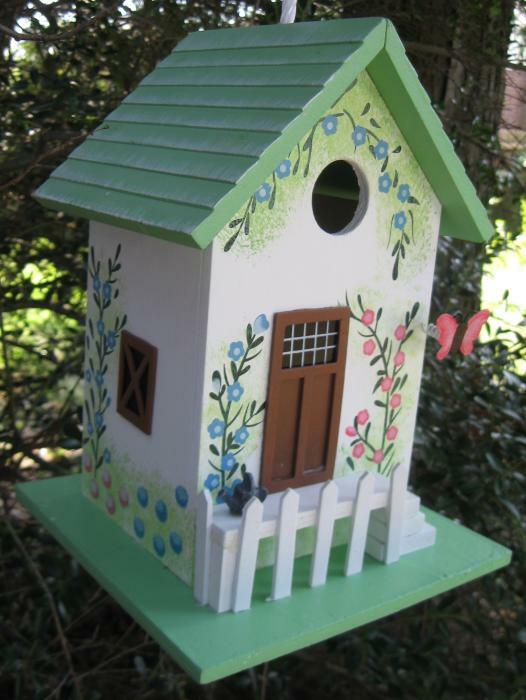 The Butterfly Cottage features a hand painted floral design, front steps leading to a picket fenced front door detail and a striped awning. 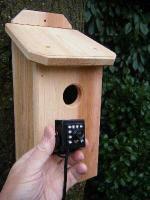 A heavy duty nylon cord will make this house a snap to hang inside or outside too.